MINNETONKA, Minn., USA, Nov. 28, 2018 – How does one #YieldStrong with Golden Harvest®? Farmers across the country responded to this question on social media to enter the Golden Harvest #YieldStrong photo contest. 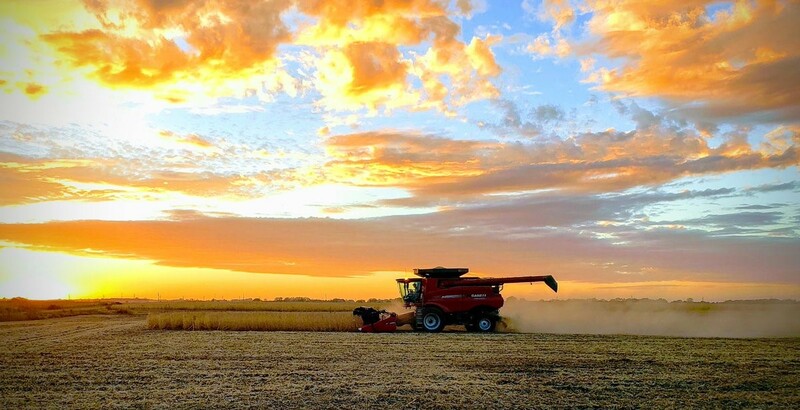 After carefully reviewing all qualified entries, Chad H. from South Dakota, has been selected as the grand prizewinner of the Golden Harvest #YieldStrong photo contest, and Elizabeth S. from Iowa, was selected as the runner-up winner. The #YieldStrong photo contest kicked off at Farm Progress Show and Husker Harvest Days, with weekly winners drawn throughout harvest. Below is a full list of contest winners and their prize-winning entries. For more information on the #YieldStrong contest, visit http://www.goldenharvestseeds.com/clp/yield-strong/. To find hybrids and varieties that will #YieldStrong in 2019, speak with your local Golden Harvest Seed Advisor or visit www.GoldenHarvestSeeds.com. The #YieldStrong contest grand prize winner photo submitted by Chad H. from South Dakota. ©2018 Syngenta.The trademarks or service marks displayed or otherwise used herein are the property of a Syngenta Group Company. All other trademarks are the property of their respective owners.